Overlooking the Abbaye D’Aulps, our catered Chalet takes its name from the Bernadine Monks that inhabited the Cistercian monastery from the 1090s. We chose this location, not only for the stunning views of the surrounding area, but so our guests can relax in the calm and tranquil setting of the village. Arrive to champagne and canapes and a fire lit in the hearth, relax in the large comfortable lounge area while dinner is cooked. 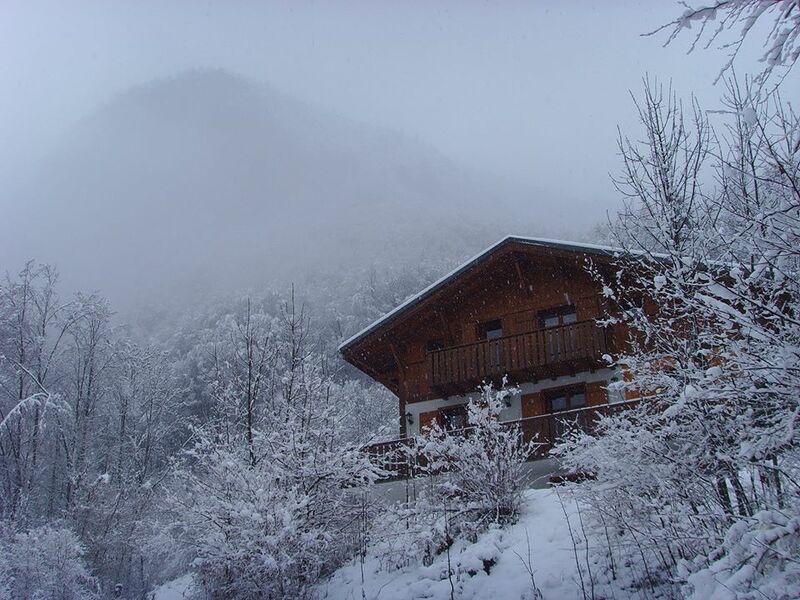 Your ski equipment is delivered to the chalet and professionally fit for you. You are served beautiful breakfasts with hot options 6 mornings, delicious fresh baked cakes every afternoon and 4 course evening meals with canapes and cocktails to start. We support you from booking to departure with helping you book transfers, ski lessons, ski passes, equipment hire anything you can think of really.